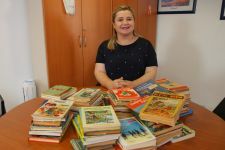 Assoc. 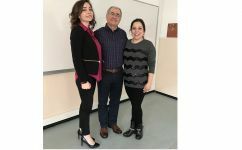 Prof. Nihal YETKİN KARAKOÇ from IUE Department of Translation and Interpreting gave a seminar on Diplomatic Correspondence upon the invitation of Department of International Relations, İzmir Katip Çelebi University. 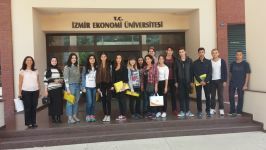 In the seminar held within the framework of the course titled “Diplomacy from Theory to Practice” at İzmir Katip Çelebi University, Yetkin-Karakoç introduced the linguistic features in diplomatic invitations. 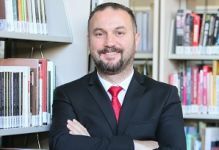 Explaining also the discursive features in diplomatic invitations, reminders for invitation and messages in reply, Yetkin-Karakoç answered the students’ questions. 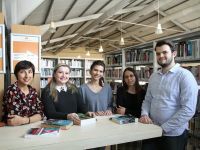 Pointing out the importance of interdisciplinary studies, Yetkin-Karakoç said, “Our disciplines have a lot to learn from each other. 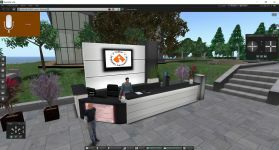 With the advances in communication networks, the translation in international relations and diplomatic language has gained an impetus, and become more visible. In diplomacy, 99% success is regarded to be failure and the same applies for diplomatic translation. We aim to train our students to meet the requirements in the field of diplomacy”. 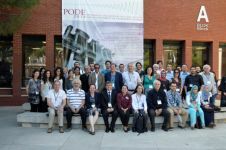 Following the seminar, we discussed the possibilities of holding joint workshops, seminar, and panel which would bring the two scientific fields together”. 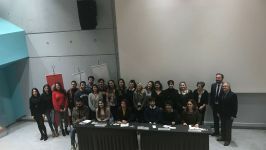 At the seminar titled “Audio Description as a Type of Translation and SEBEDER*” hosted by IUE Department of Translation and Interpreting we were informed about audio description which can simply be defined as describing the visuals for the visually impaired. Audio Description supporting the visually impaired’s right to access art was covered with examples at the Seminar of Department of Translation and Interpreting. 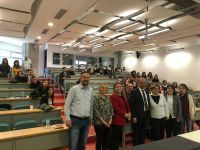 The International Day of Mathematics and Pi Day has been celebrated with an event held for the second time this year by Izmir University of Economics (IUE) Department of Mathematics. 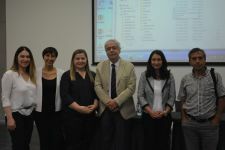 The Panel for Ergonomics of Translation hosted by İzmir University of Economics Translation and Interpreting Department provided an insight to the physical, cognitive and psychosocial ergonomics of translation. The panel started with the opening speeches of Prof. Dr. İsmihan Bayramoğlu, Dean of IUE Faculty of Arts and Sciences and Prof. Dr. Neslihan Kansu-Yetkiner, Head of Translation and Interpretation Department, on ergonomics and the relation between translation and ergonomics. 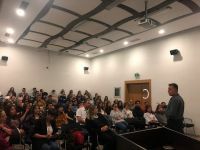 The seminar given by Ümit Özaydın (General Manager of Dragoman Translation) within the framework of the seminars offered by the Department of Translation and Interpretation (Faculty of Arts and Sciences) draw considerable interest. 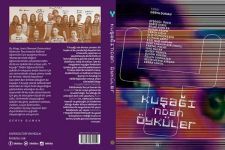 Özaydın underlined points to consider in translation based on both his own experiences and the market demands. 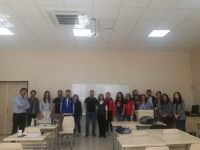 Providing examples from his experiences in various fields such as football, politics, and technology, Özaydın had an interactive seminar with the participants. 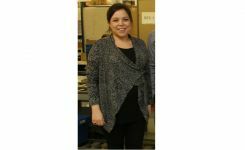 Economy in translation, technology, collocation and customer expectations were among the topics addressed in the seminar. 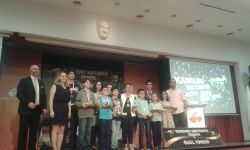 Students, who sucecssfully passed the “Kangaroo Math Contest” organized by the Advisory Board of Kangaroo Mathematics Turkey, received their awards at a ceremony held at Izmir University of Economics (IUE).